What's that you say? Stripes are on trend?? Shocking! No surprise there then. Yep! It pops up nearly every year and this year wasn't an exception, it was everywhere on the SS17 catwalks. I'm sure most of us have something striped in our wardrobe. 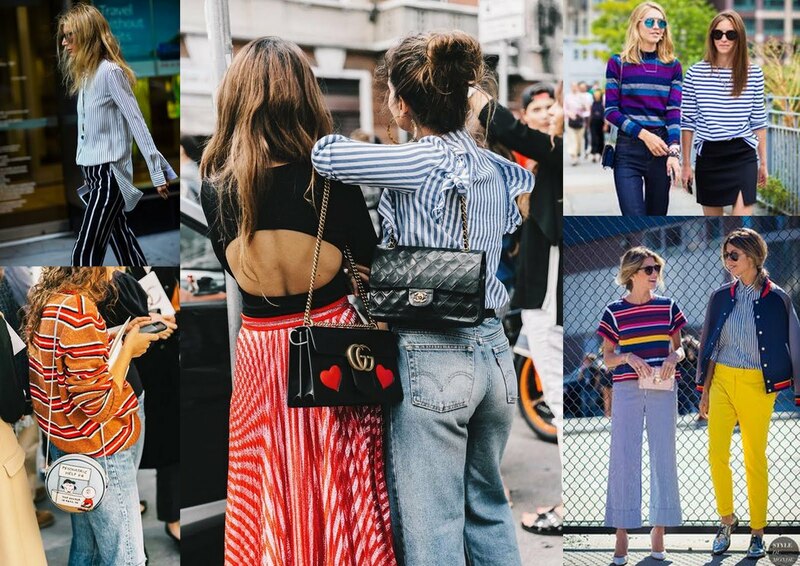 Apart from the Breton top or button down striped shirt, there are so many other ways to wear this trend. Below are some street style images from Pinterest giving you some ideas on how to wear stripes. I love stripes, it can add subtle colour to an outfit, it can make you look taller than you really are depending on how you wear it and most importantly it will never go out of fashion. What's on the high street? First up is this jumper from New Look, it's in the sale at £17.24 and comes in two other colourways that are full price. 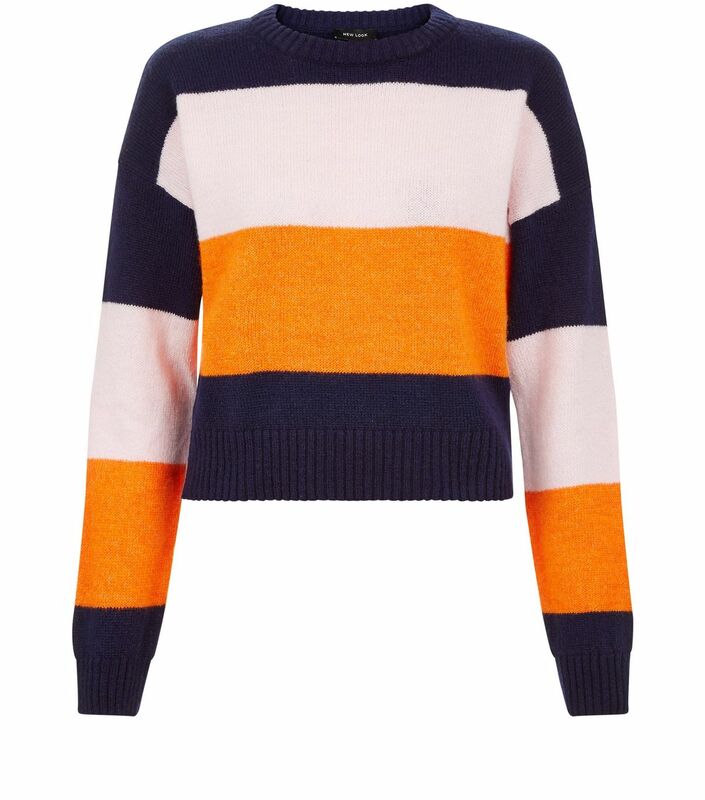 This jumper will look great under dungarees or tucked into a high-waisted skirt or jeans. 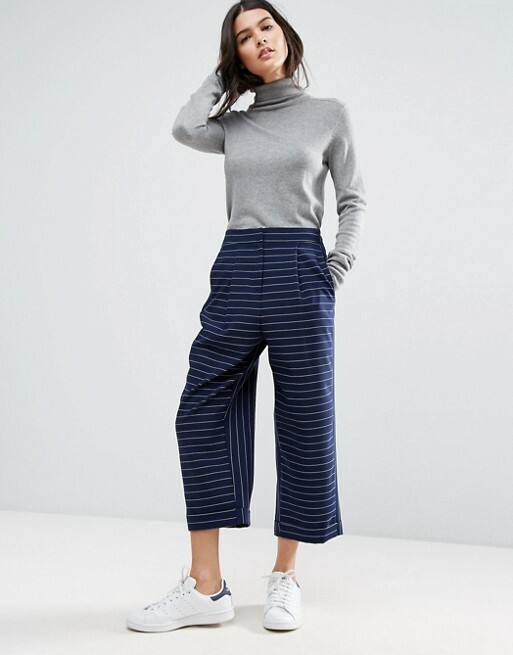 If you're looking for something smart, these ASOS wide leg trousers are perfect for work or dressing down with trainers. Or try the below subtle striped dress which is ideal for those summer days (Trousers £35, Dress £30). 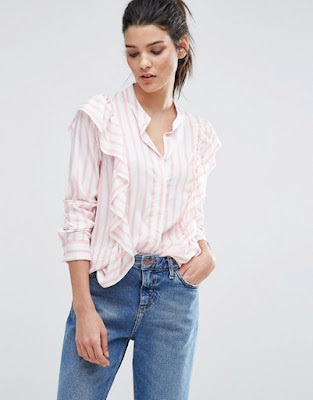 If you didn't manage to find the H&M ruffled striped shirt, ASOS do one which is practically the same but for £35. 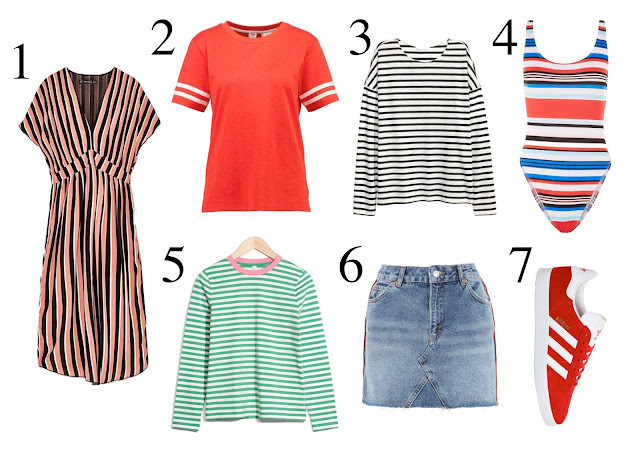 A few more stripes below, all very wearable, my favourite being the swimsuit...only £14.99!! !